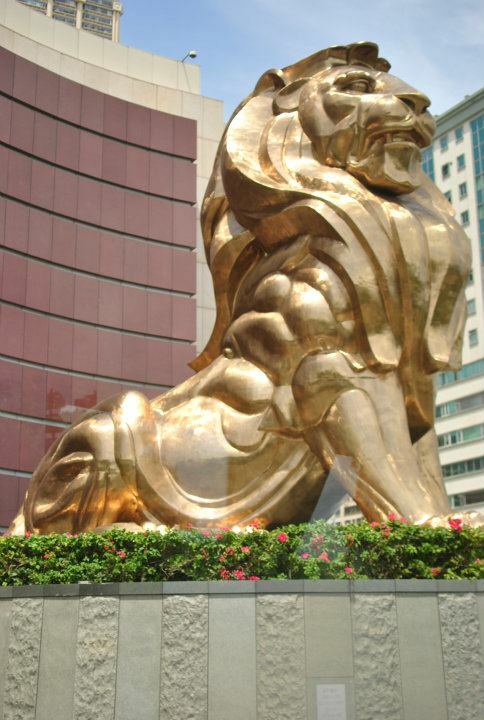 Every time I visit Hong Kong, I also plan on dropping by in Macau. 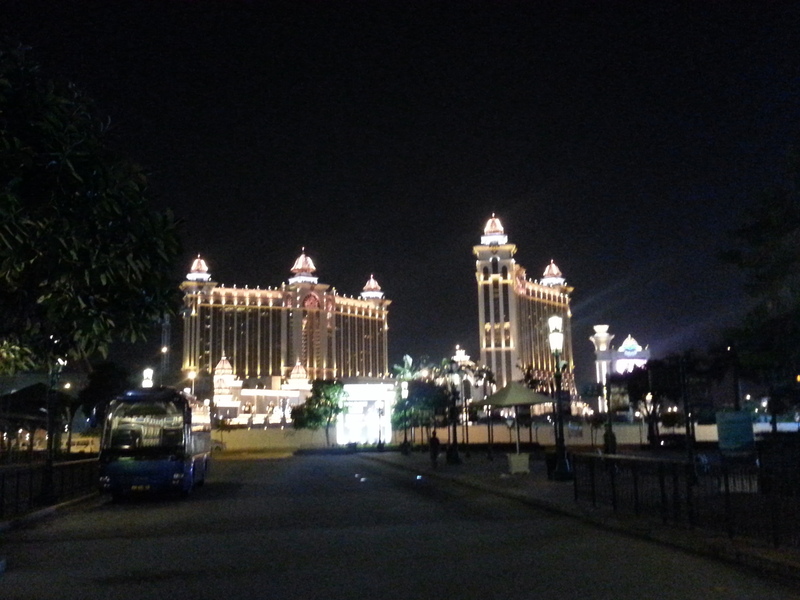 My first visit was a day tour in downtown Macau while my next last 2013 was on another island and stayed at one of the hotels in Cotai. I love how the Portuguese+Chinese blend culture is still recognizable in downtown Macau. I even saw a group of people enjoying Portuguese (or Spanish) dance in the street. A few of the signage I’ve seen come with English, Chinese and Portuguese translations. It is also noticeable that some streets sound Portuguese. 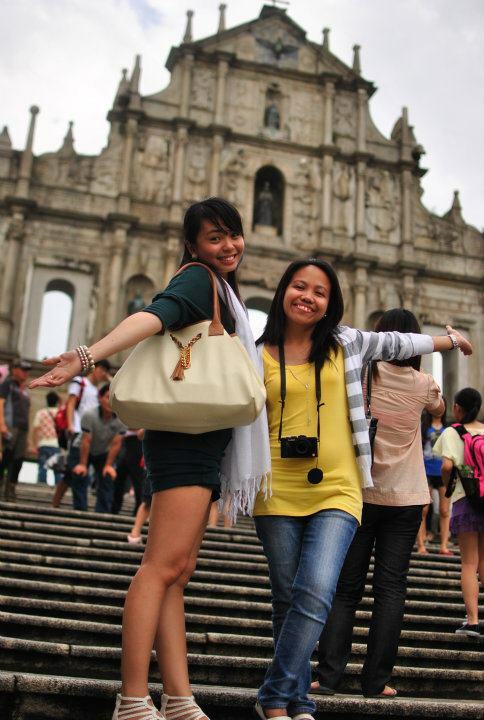 1. the Ruins of Saint Paul Church. Only the front facade remained standing. 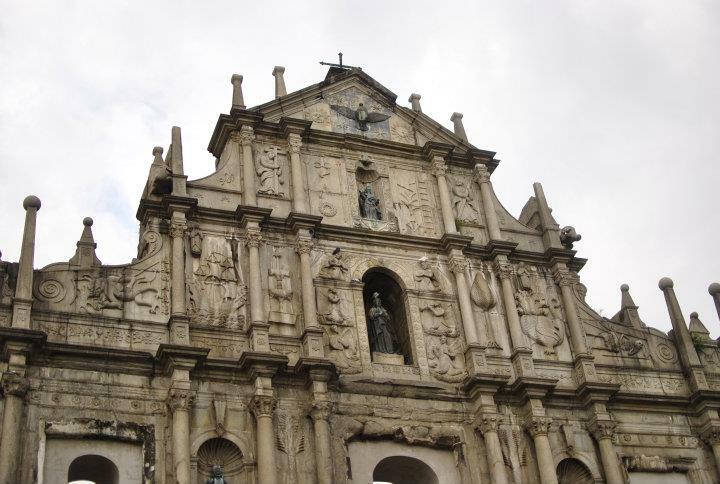 Saint Paul Church has been rebuilt after it has been destroyed by a fire in late 1500’s however, it had encountered several disasters again – fire and typhoon. 2. Kun Iam Statue. 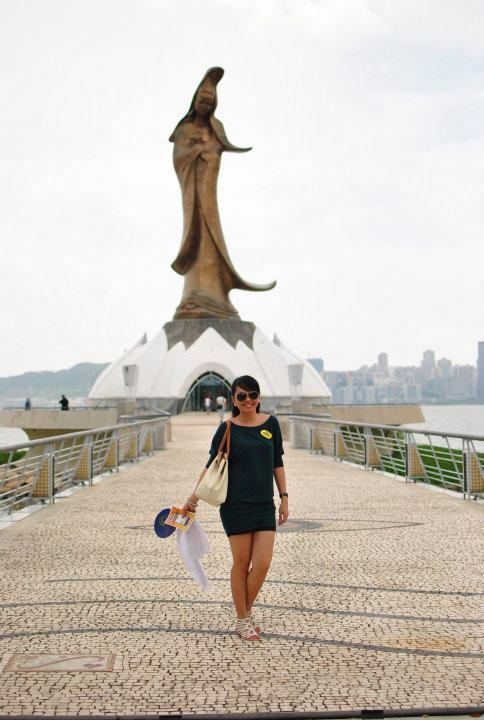 The Buddhist Goddess of Mercy watching over the whole of Macau. We were not able to see what’s under the statue. 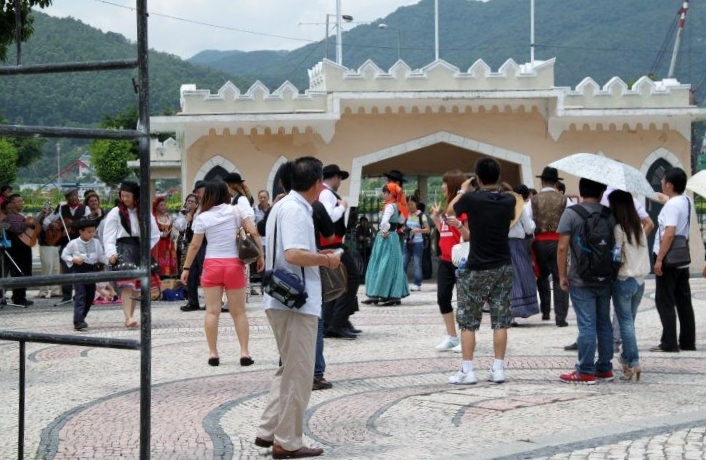 It’s sad that we were only able to take a photo from afar. 3. 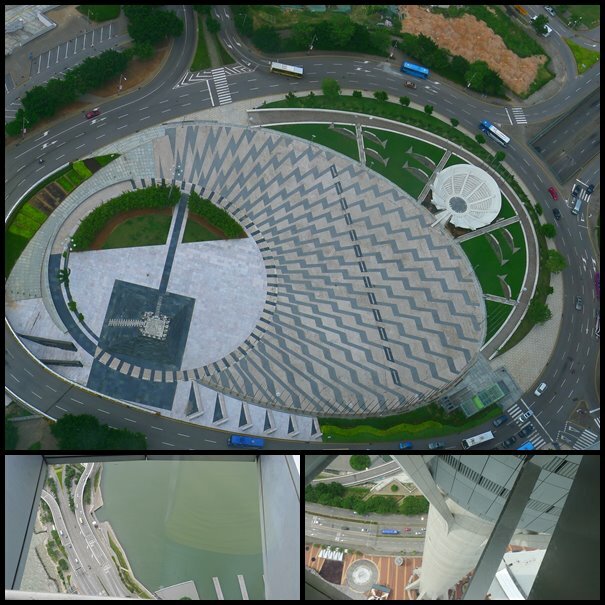 The Macau Tower and the glass flooring at the 58th floor. Macau Tower is famed as the second highest (and scariest, brrr) commercial bungee jump in the world next to Stratosphere in Vegas. 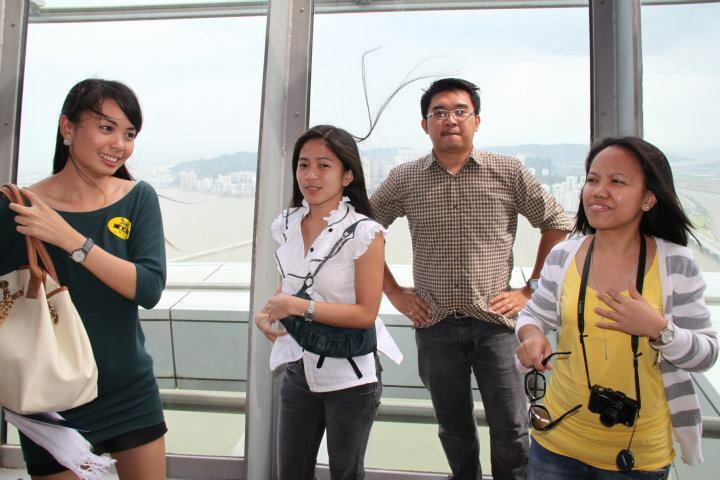 At the 58th level, a viewing area with glass floor awaits you. I literally avoided stepping on the glass as what i see beneath it scares the sh*t outta me. . haha. . a couple of levels up is where the bungee start point is located and a wider viewing deck (no more glass floor, yehey! 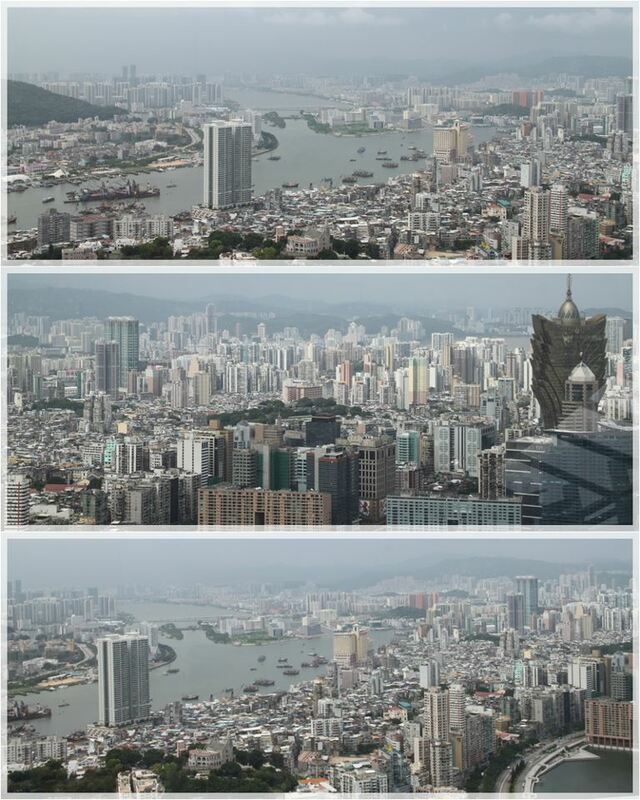 hehe) that offers a great panoramic view of Macau. the view from the glass floor. 4. That unbelievably delicious egg tart encounter. enough said. . the best! I don’t have a photo of the egg tart though. 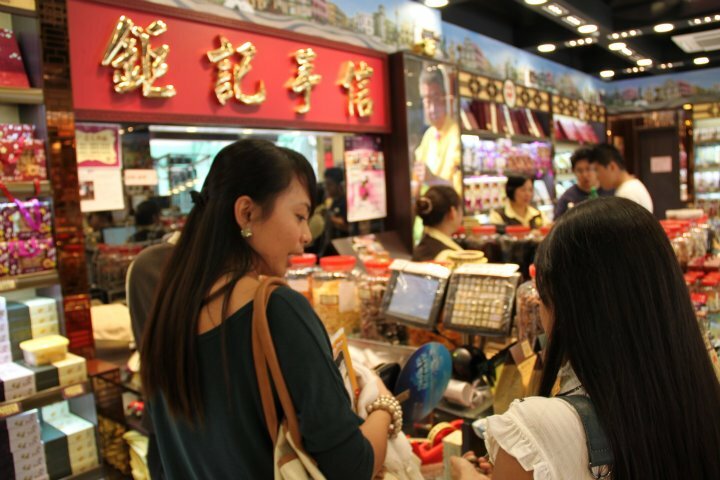 haha. . i really recommend you try the egg tart in macau. . Sobrang sarap!! And those crispy pork sheets, ooh la la, I should’ve brought beer. haha. .
5. 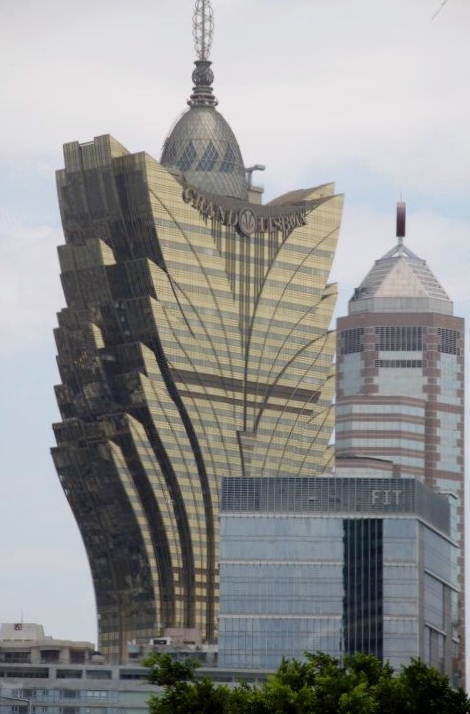 Sight-seeing: Futuristic architecture of famous hotels and casinos. i am so amazed by these buildings maybe because i have not seen a very jaw dropping one in the Philippines. I’ve seen a lot more though in Shanghai. this is where the gondolas row, we went to the Venetian Hotel at late night so the shops and this canal were already closed. 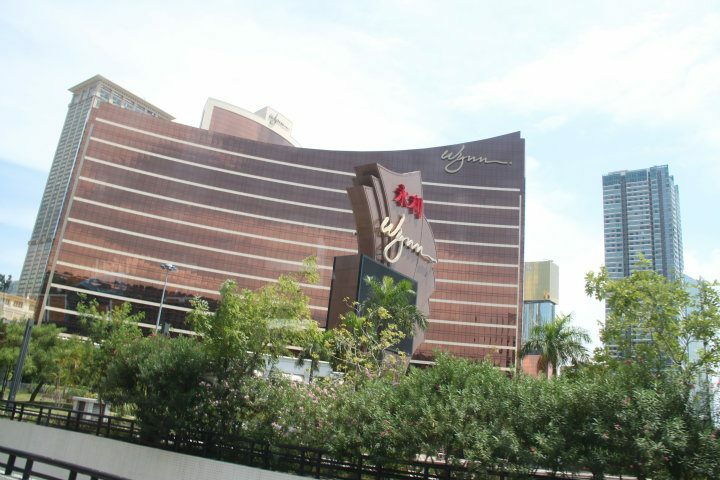 at the end of the canal. .
Galaxy Hotel from outside of Venetian Hotel. 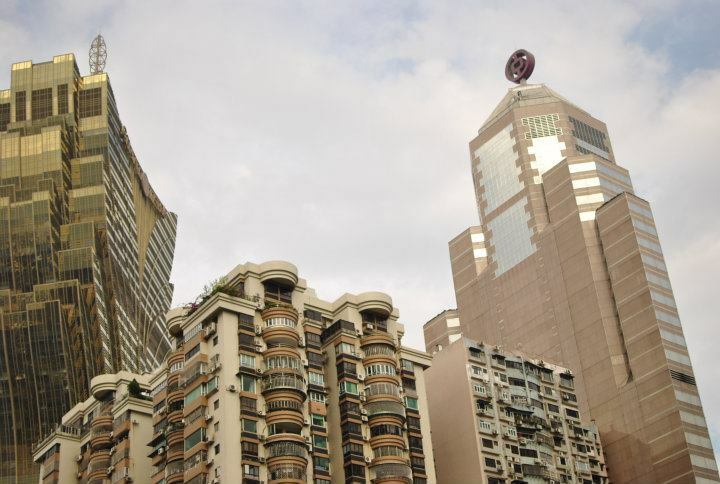 We stayed in Sheraton Macao Hotel – Cotai Central (thanks to our network for making this possible, people know I won’t spend for such fancy hotel, hahaha!) We got a room with big windows where the City of Dreams Hotel can be spotted. the view from our room at Sheraton. .
We played in the casino too! but just once, i don’t have the beginner’s luck. haha. . There was also a celebration of Octoberfest at the Hotel when we went there. . beers! clink! 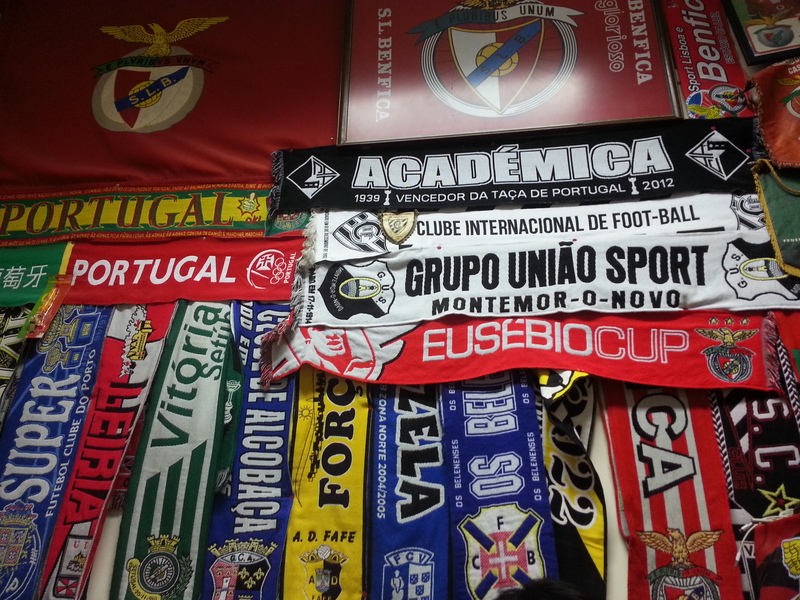 i so so love these banners used as wall decors at O Santos.